The UK is going all cuckoo for Cocao Puffs over spaceports. Everybody seems to want one, raising the possibility the nation will repeat America’s experience of having too many spaceports without enough vehicles to launch from them. In any event, the latest candidate to surface involves a remote peninsula in the Scottish Highlands. A consortium that includes Lockheed Martin, the US aerospace firm, believes that the A’Mhoine peninsula, between Dounreay and Cape Wrath, is the best location in Britain for a spaceport facility. A detailed proposal has been submitted to the UK Space Agency, UKSA, which has met with both Highland council and Highlands and Islands Enterprise, HIE. The latter raised the idea of the rocket base last year. UKSA is understood to support the A’Mhoine proposal. It aims to capture 10 per cent of the global space market, which is expected to be worth £400 billion by 2030. The Scottish facility — which would be the first to launch a rocket into orbit from the UK — could be operational by 2020 and generate more than £1billion over a decade…. The Space Industry Bill, recently introduced into the House of Lords, will be debated this week. It aims to license space activities and offer grants totalling £10 million for consortia that want to launch satellites — or even manned space flights — from British soil. The peninsula is being eyed for operation of an unidentified smallsat launch vehicle. The A’Mhoine facility could see up to eight rocket launches a year, capable of carrying as many as 12 small cube satellites into orbit around the Earth. 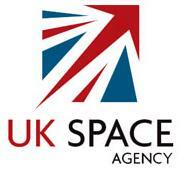 Paul Davey, of the Lockheed MartinUK space programme, added: “We have submitted a proposal for grant funding into the UKSA satellite launch programmed, the outcome of which will be known this summer. Although the rocket is not named, one possibility is Rocket Lab’s Electron small satellite launcher, which has a nominal payload of 150 kg to a 500 km sun-synchronous orbit. Lockheed Martin has made a strategic investment in the company. Rocket Lab operates from a spaceport in New Zealand. The maiden flight test of the Electron booster failed to reach orbit in May. Additional tests are planned for later this year.